Nolan Patrick got his hands on the trophy in the end, but it was No. 2 ranked North American skater Nico Hischier who had scouts, pundits, and fans alike buzzing after the CHL/NHL Top Prospects Game in Quebec City. Hischier scored a gorgeous breakaway goal off a Patrick turnover with a silky backhand move and also added two assists to take top player honors in a losing effort for Team Orr. He outshone the presumptive No. 1 NHL draft choice with a dynamic offensive showcase, though Patrick, the captain for Team Cherry, did have a productive outing, collecting two assists and impressing physically. Hischier, a Halifax Mooseheads center, has picked up momentum throughout his draft season. He scored four goals and seven points in five games at the World Junior Championship, and U.S. coach Bob Motzko labeled Hischier the best player his gold medal-winning side faced in the tournament after he nearly willed Switzerland past the Americans in the quarterfinal. Gabe Valiardi and Owen Tippett, the third- and fourth-ranked North American skaters, also scored for Team Cherry. Turkey won the 2017 IIHF Ice Hockey U20 World Championship Division III final 2-1 in front of an enthusiastic group of expats at the Dunedin Ice Stadium and will be promoted to Division II Group B next year. When the clock ticked time the emotionally fired team on the rink threw their hats on to the ice and players on the bench rushed on to the ice to hug each other. It was an emotional time for a Turkish team that played their hearts out, out-thought and outplayed their more fancied opponents. It was a well thought out strategy by veteran American coach Keith McAdams who has lifted the performance of Turkish hockey since becoming the under-20 and under-18 head coach over two years ago. “Turkey hasn’t won an under-20 medal in a long time so there was a lot of pressure on the players,” he said. “It gives these players something to grow with when they reach the senior team. They are still young and can develop. We knew it would be hard to compete with China with all the ice and financial backing they have. McAdams plan began when he selected an under-18 team for the under-20 Division III that was held in Dunedin as well two years ago. The same team also played in the under-18 tournament at Auckland the same year. They were an experienced group when they came back to Dunedin this year. The players all bought into the plan and it worked. The game plan was simple. They had to shut down the neutral zone and stop the breaks that China likes to make in that part of the rink. It meant man-on-man marking and putting pressure on the Chinese players. It worked because the Chinese team became frustrated and rattled at not being allowed to play its own game. Turkey was especially good at competing for the puck when it went behind the net and by making it difficult for China to get out of the tight corners. They did not give China the freedom and open space it had enjoyed in other games during the tournament. The first period was tight but U.S.-based forward Hakan Salt scored with just over a minute left to give Turkey a 1-0 lead. That was the crucial play of the game. It gave the Turkish players the belief that they could win and it put doubts into the minds of the Chinese team. The margin was extended to two goals after 10 minutes in the second period when the Chinese defence failed to clear the puck away from the front of their goal and Yusuf Kars scored from a rebound. The margin was reduced when Ou Li scored China’s only goal five minutes later. Turkey’s defence was solid as a rock and no goals were scored in the third period. The best Turkish player in the final and throughout the whole championships was aggressive forward Omer Kars. The forward from Erzurum is also a member of the Turkish senior squad. Others to impress for Turkey throughout the week were Hakan Salt, who scored seven goals, and Yusuf Kars, who was named best defenceman of the tournament. McAdams has coached in Turkey for the last seven years with the Erzurum BBSK teams. They have won eight national titles. Twelve members of the 20-man strong Turkish under-20 team play for the club. Erzurum, a city of 600,000 in Eastern Turkey, has four ice rinks thanks to the 2011 Winter Universiade but only one can be used for ice hockey. Turkey finished sixth last year but has made a significant improvement over the last 12 months. What made the difference? 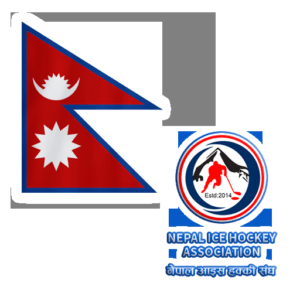 “We had a young team at first and our players have gained a lot of experience of international hockey over the last two years,” the coach explained. “Two years ago we won the under-18 Division III Group B tournament at Auckland and last year we finished second with the under-18 team in the Division III Group A in Bulgaria. The Turkish U20 team reached 35th place overall this season, its highest placing in the new millennium. Turkey’s biggest advantage was continuity. Only three players of its squad had not played in the team that came to New Zealand two years ago. McAdams knew it would be difficult for Turkey to continue its unbeaten tournament record in the semi-finals and final. Turkey had beaten New Zealand, 6-4, Bulgaria, 8-1, and South Africa, 6-0, in the group stage. The Turks beat Iceland 3-2 in the semi-finals coming back from a two-goal deficit with three unanswered third-period goals. “The goal is always to win but I would have been happy as long as we played well and did our best,” he said. There are 24 indoor ice rinks in Turkey and they are spread over five cities. There are just fewer than 1,100 ice hockey players in Turkey and 576 of them are juniors. But only 22 of them are good enough to make the under-20 team. 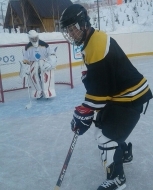 Most of the team did not start playing ice hockey until they were aged 14. “It took five years with me before they became really good players,” McAdams said. “Erzurum BBSK never had a team until I started coaching there. This was the second time McAdams has coached a Turkish team at a World Championships in Dunedin in the south of New Zealand. China won the gold medal in Dunedin two years ago but was not able to stay in the higher grade. But with new Russian Coach Alexander Barkov on board as head coach China started as favourite. This favouritism was confirmed in the early rounds when China demonstrated that it was able to lift the power of its games to win tight games. China reached its pinnacle when it thrashed home team New Zealand 11-2 in the semi-finals. 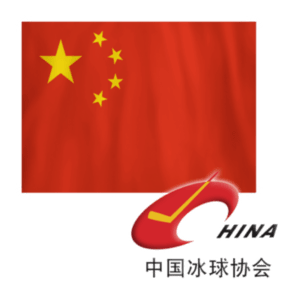 In that game China sparked into life from the start and scored three goals in the first six minutes and ended the first period with a four goal cushion. New Zealand, as expected, fought back in the second period but China then romped home by scoring six more goals in the third period. If China had repeated that form 24 hours later it was difficult to see it losing. Turkey shut down China’s ability to make breaks through the neutral zone and China had no answer. The best Chinese player was its captain Rudi Ying who plays for Kunlun Red Star in the Kontinental Hockey League. Ying scored the most goals in the week-long championship with nine and was the scoring leader with 19 points. He was named as the best forward by the directorate. The other noted forward was Ou Li, who was second on the leaders scoring table with 10 points and scored six goals. Other Chinese players to impress during the championship were forward Zemin Deng and defenders Pengfei Zhang and Haolin Nie. Everything worked for Iceland when it beat New Zealand 10-0 in the bronze medal game. It outplayed the hosts in all departments with its speed on skates and its ability to use the width of the rink to create gaps in the defence. It was particularly skilled in the battle for the puck behind the net and in the corners. Iceland tested New Zealand in the first period and then displayed complete dominance in the second period to score five goals. Latvian-born team captain Edmunds Induss, who is in his fifth season in the top senior league in Iceland, was playing dynamically with his speed with the puck down the centre of the rink. He used his skill to score the fourth goal that went between the legs of the goalie. The fifth goal, scored by Elvar Olafsson, was all class. It came from a back pass to the trailing man who had a better angle to shoot the goal. The well drilled Icelandic team continued its dominance in the final period and added five more goals. They were able to jam the New Zealand defence into the neutral zone to open up scoring opportunities. Iceland demonstrated its dominance when its second line scored three goals against a withering New Zealand defence in the final period. It kept peppering the New Zealand net and its dominance was demonstrated by having 59 shots at goal compared to 20 by New Zealand. Iceland was heading for the gold medal game when it led Turkey 2-0 at the end of the second period in the semi-final. But it conceded three goals in the last period to lose 3-2. Iceland led 1-0 after the first period but Turkey had the momentum for 10 minutes in the second period and only good defending kept Iceland’s goal intact. A goal in the last minute by Vignir Arason gave Iceland a 2-0 lead and an upset was on the cards. It was a frustrating time for Iceland supporters when Turkey stormed back in the third period to score three goals. Fatih Faner, a member of the Turkish senior squad, used his experience to hit the winning puck with 3:20 left in the game. The best player for Iceland in the game was goalie Maksymilian Mojzyszek, who made 25 saves and conceded three goals. Iceland showed its best game in the 4-1 group-stage loss to China. The score was 1-1 after two periods but China held its structure and scored three goals in the final period. “China thought they would beat us easily but we showed fight and dominated. It showed that Iceland hockey is on the move,” coach Blarand said. Iceland’s best players in the tournament were goaltenders Arnar Hjaltested and Maksymilian Mojzyszek, defencemen Sigurdur Thorsteinsson and Jon Arnason, and forwards Edmunds Induss and Hjalti Johannsson. Mojzyszek saved 89 shots and conceded only eight goals. New Zealand struck China in vintage form in the semi-finals and lost 11-2. It was a big occasion for the young team in front of their home supporters and they froze in the first period when China raced to a 4-0 lead. New Zealand got its ice legs back in the second period and played with more urgency and put their bodies on the line. Goalie James Moore let in three early goals in the first six minutes and was replaced by Taylor Goodall, who let in only one goal to the end of the second period when New Zealand out-scored China 2-1. But the wheels fell off in the third period when China scored six more goals. The best player for China was captain Rudi Ying who scored four goals. New Zealand finished runner-up in 2015 and third last year. But assistant coach Matthew Sandford knew that it would be a re-building year with only six members of last year’s squad returning. Sandford was pleased with the second-period effort against China. Sandford could hear the noise and praised the partisan crowd for its support. New Zealand started nervously in its home patch and lost its first game to Turkey 6-4. But the performances got better as the tournament progressed and experienced Robin Vortanov kept his cool to score late goals to give the Kiwi’s a 3-2 win over South Africa and a 5-4 margin against Bulgaria to progress to the semi-finals. New Zealand had six players returning from 2016 when it finished third and Vortanov, captain Mason Kennedy, Logan Fraser, Ben Harford and Taylor Rooney displayed composure under pressure and stood up when it counted. Rooney, who finished fourth equal on the goal scoring table, was named the Kiwi’s best player of the tournament and the best new boy was Shaun Brown, who plays for the Canterbury Red Devils national league team. Israel finished fourth last year and the team was disappointed not to be in medal contention after the three round-robin games. It needed to beat China in its last game to reach the semi-finals. It was outplayed in the first period and was down 3-0 at the break. But it fought back after that to only trail by two shots, 6-4, at the end. It came back strongly in its last two games to beat South Africa 9-0 and narrowly beat Bulgaria 3-2 to finish fifth. Israel held a 2-0 lead after two periods and added a third goal early in the third period. But Bulgaria was a team that never gave up and scored two quick goals in the 56th minute by Veselin Dikov and Yanaki Gatchev to give Israel a tense last four minutes. The star player in this game was goal keeper Raz Werner, who stopped 35 of the 37 Bulgaria shots at goal. Bulgarian keeper Dimitar Dimitrov stopped 19 of Israel’s 22 shots. Werner, named the top goal keeper by the directorate, saved 141 goals and conceded only 11. This was only the third time that Israel had competed at the under-20 championships. With only three players returning from last year it suffered by a lack of experience at crucial times. The big problem for the development of Israeli hockey is that 18-year-olds are drafted into the army for two years and eight months and only a few return to the sport after their military service. The best players for Israel at the championships were overseas based players Dan Hoffman, Tom Ignatovich, Ariel Kapulkin, Raz Werner, and Denis Kozev and Mark Revniaga who have had experience in the United States. Others to impress were Ori Kafri, who plays for the Israeli senior team, and promising newcomer Itay Mostovoy. Bulgaria finished runner-up to home team Mexico last year when beaten 3-0 in the crunch game. They began confidently this year with a 5-2 win against South Africa but then slumped to a big 8-1 loss to Turkey. The crunch final game in section play was won by New Zealand 5-4 when the Kiwis scored two late goals. The last by Robin Vortanov on a power play snuffed out Bulgaria’s medal chances. It beat Chinese Taipei 6-1 in the first placement game but lost was beaten 3-2 by Israel in the game for fifth place. Its best players were goaltender Dimitar Dimitrov, who made 41 saves in the 5-4 loss to New Zealand, Daniel Dilkov, Tomislav Georgeiev, Miroslav Vasilev and assistant captain Yanaki Gatchev. Bulgaria has been a member of the IIHF since 1960 but the sport does not have lot money and has just three indoor and five outdoor rinks for its 760 players. The country’s strength is with its 575 junior players and it could build its future on this. South Africa and Chinese Taipei were always were seeded at the bottom and ended up in the game for seventh place. Both countries need international competition and that’s what they got. Originally seeded as the only teams in the Division III Group B, the organizer managed to accommodate to add the teams and make the Division III an eight-team event. Chinese Taipei coach Ryan Lang was happy that it worked out so the team could get the experience of playing games against five different teams. Canadian Lang played junior hockey in Canada and the United States and was a professional in the Australian Ice Hockey League. He has been coaching for the last 12 years and has been involved with a club side on the island of Taiwan and with the national side for the last three years. This was the first tournament that the Chinese Taipei under-20 team has played in the last six years and it has been a big boost to the morale of hockey in the country. For the first time Chinese Taipei will compete in four World Championship categories with the under-18, under-20 and senior men’s teams and the women’s team. They finished the championship on a high note with a comfortable 7-1 win against South Africa to claim seventh place. Their best players were goalie Sheng-Chun Huang, who made 34 saves in the 3-0 loss to Israel, forward Po-Jui Huang and assistant captain Wei Chiang. South Africa did not win any games when it finished last in the seven-team competition in 2016. It finished eighth this year when beaten by Chinese Taipei. It expected to be demoted to the lower grade but received a reprieve when two extra teams were added to the competition this year. South Africa’s best game was the narrow 3-2 loss to New Zealand in its second game when the Kiwis scored a late goal to win the game. Goalie Ryan Boyd was the hero in that game and stopped 38 goals. The other goalie to excel was Aslam Khan, who made 49 saves in the 6-0 loss to Turkey. The other standout player was defender John Venter. South African coach Marc Giot said that his aim was to secure a spot in the competition for next year. “We wanted to do well but we had to be realistic at the same time,” he said. “Ice hockey is an expensive sport and we only have seven indoor rinks in the country. We have to pick our teams from a small pool of players. Our competitive level is not as high as in other countries we come up against. Our team organizes annual ice hockey exchanges between the DPRK (North Korean) men’s national team and international hockey players. The primary goal of our efforts is to create cross cultural engagement with the people of the DPRK and to raise funds for our charitable workshops for athletes with intellectual disabilities in Pyongyang. We have a few more spaces remaining on the team for our upcoming event in Pyongyang from March 7-15, 2017 and are hoping that we could partner on this occasion and that you might even be able to join us too. Our team has received a small amount of funding for the trip, allowing us to contribute a substantial portion to the total travel fees for some participants (Regular package starting at USD1600). It would be an unforgettable experience for the players and will be documented by a network film crew who will be making a brief film about the trip. This is the second edition of our Pyongyang Ice Hockey League (PIHL), already successfully held back in March 2016, when we brought a group of international players in Pyongyang to play against the DPRK men’s national team, and we hope to organize many more! Breaking through another “first” for the Canadian Women’s Hockey League (CWHL), the Calgary Inferno will travel to Tomakomai, Japan in January, 2017 to play the Japanese Women’s National Team. The Inferno will play against the island nation on January 27 and 28, 2017. Calgary’s visit will be part of the Japanese team’s preparation for Olympic qualifier games set to take place in February. Team Japan currently sit in seventh place in the IIHF World Women’s Ice Hockey rankings, and are looking to secure a birth in the 2018 Winter Olympics in PyeongChang, South Korea and Japan will host the qualification tournament with Germany (8), Austria (11) and France (12) facing off from February 9-12, 2017 for the final available slot at the games. This is not the first time the two teams have faced off against each other in recent years. In November 2015, Team Japan visited North America on a development tour and faced off against Calgary for an exhibition game with Calgary recording a win. Calgary will take an almost complete squad to Japan, including all three goaltenders, five defence and 12 forwards. Currently, the Inferno play home to 14 members of the National Women’s Program who have met Japan in international play. Two current Inferno will done opposing colours for the game including blueliner Aina Takechu, currently a member of Team Japan and rookie defenseman Akane Hosoyamada also likely to suit up for the two game series. Another familiar CWHL face will also greet the Inferno as Toronto Furies and 2016 CWHL All-Star Sena Suzuki will represent Team Japan.